We’ve watched on in amazement as the cocktail cognoscenti has gotten ever more baroque. To be honest, we’ve felt something akin to awe. Things have become increasingly esoteric (ingredients so rare you have make them yourself) and techniques borrowed from the labratory. Oh there’s a mad scientist in all of us, but there was that slightly nagging feeling too. That feeling of not being able to explain what it was all about and having difficulty explaining why anyone else would be impressed. Sort of like music for other musicians, cocktails for other cocktail nerds can sometimes become self indulgent – even if it is also a source of great innovation. It is no secret that we are fans of classic cocktails. 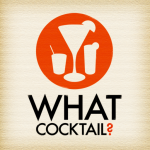 They are common language for talking about drinks and explaining to people new to cocktails what they can expect. That and they are really tasty. The Intoxicologist first caught our attention with a back to basics post that highlighted what cocktail knowledge was required from the IBA. This lifted our spirits, particularly with our soon to be completed iphone app coming out . But we sneakily suspect that Paul was actually seeking permission to mess around with drinks. And that cool, he’s certainly earned that privilege, but when the ever dependable (and much admired) Gary Regan speaks about the bar-tweenies we knew something was a foot. So we are calling a trend and making a bold prediction: for the next couple of years, cocktails will return to the classics. Mixological artistes, will find themselves less gainfully employed whereas the knowledgeable, customer friendly, craft based bar tenders will continue to be in demand. For cocktail consumers, this will see a return to great drinks and good times rather than gastronomic events dripping with hipster attitude. The former being something we’ll happily raise our Manhattans in toast to.